Having lived in the Pikes Peak region for almost twenty years, I know El Paso County very well and have an intimate knowledge of the local communities. As a retired Police Officer, I am well positioned to offer a unique set of perspectives to my clientele. As a Buyer’s Agent, I get personally involved in your home search and pride myself in listening to your needs to help you find the right home. As a Seller’s Agent, I pledge to go that extra mile to help you sell your home quickly. I back my words with action, diligence, and professionalism and will advocate tirelessly on your behalf to ensure your complete satisfaction. My wife, Shayla, and I grew up in Colorado and have been involved in many community groups here in the Colorado Springs area. We’ve lived in various neighborhoods in Colorado Springs and have a long term commitment to the community. I consider this community an excellent place to live and would love to share with you my enthusiasm for the many neighborhoods that encompass it. I look forward to assisting you with information and answers to questions you many have about purchasing, selling or investing in real estate. This was hands down our best home selling experience! Only downside was Adrian sold it too fast ! Back the Blue at Blue Picket Realty ! 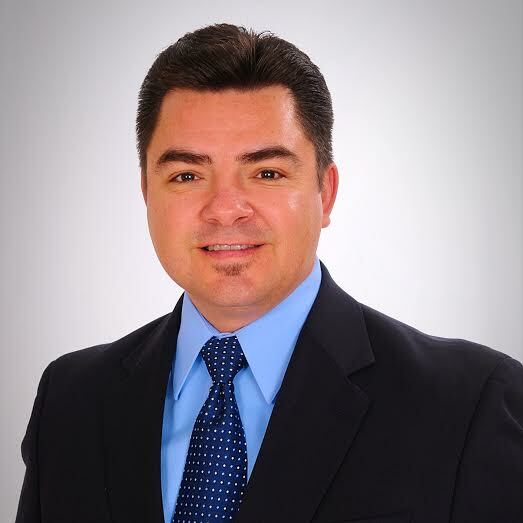 Highly recommend Adrian Manzanares as a top notch realtor and great family man ! I was just starting to look for a realtor and called Blue Picket and Adrian Manzanares answered the phone and that was my lucky day. Adrian went overboard to help me. like bringing me a truck full of boxes for moving. Wow! He helped me by answering every question and bringing the best prospects..sold my house in 24 hours for more than asked…may not happen in every case but if it could happen the people at Blue Picket are the ones to trust with your business. Adrian was so thorough and most of all very kind to me. He understood what I like and dislike about the house, and accommodated me accordingly. Thank you. I am very happy with the house I purchased. Adrian Manzanares was extremely friendly and understanding of our needs. He always responded in a timely manner to our questions and explained every step in the process. He went above and beyond to ensure we were not only satisfied but happy with the home we purchased. Adrian was very proactive and involved in every step of the home buying process. I would highly recommend him to anyone that is in the market for a home. True professional! Adrian was incredibly helpful in every single step of our home buying process. From searching for our home, to the inspection process, to the closing process, he explained everything very clearly and made sure that everything worked out the way it was supposed to. I would recommend Blue Picket Realty (specifically Adrian) to anyone. I appreciate the honesty and transparency and timeliness that the whole process was done with. My experience with Adrian and Blue Picket was exceptional. Every detail was worked professionally from preparing, picturing and posting! We had 9 showings in the first day resulting in 2 offers. The house needed to move quickly and was priced appropriately. You will not find a better realtor than Adrian! Adrian was great to work with on both the sale & purchase of our house. The experience was very good overall. AWESOME!! ADRIAN WAS ALWAYS PROFESSIONAL AND KIND. I have only bought and sold one house thus far, in my lifetime. When I went looking for a real estate agent to sell my home, I knew I needed someone that I could trust to act in my best interest. I chose and listed my home with Adrian and Blue Picket Realty and Adrian was outstanding throughout the entire process!I have to say that I did not want to sell my home, but due to a change in my lifestyle, I had to sell it. Adrian was very sensitive to my situation and was agressive in getting the deal done. We had an offer within a few days and he walked me through the entire process. He was always available for a quick question and was always upfront with his answers.I looked into Adrian’s sales record and found him to be very successful with reasonably quick closings. He counseled me on what the selling points of my home were and what not to do in the process.When I’m ready to buy again……I’m going to use Adrian. Honesty and trust were the two most importand factors in selecting a realtor and I found it in Adrian and Blue Picket Realty. Thanks Adrian! We recently worked with Adrian Manzanares with Blue Picket Realty for our cross country move to Colorado Springs. He was beyond professional, extremely knowledgeable about the area, and a true pleasure to work with. We had two packed days of showings while we were in town, and he made sure we walked away with a great property. My husband and I are already looking forward to working with him in the future when we buy our next home. This guy knows his stuff!